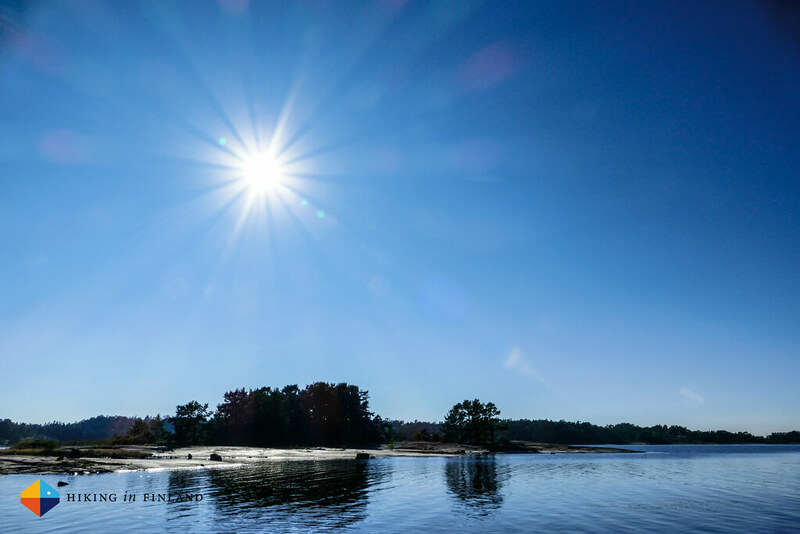 In September I was lucky enough to visit Åland, the magical island that’s right in the middle between two of the best countries on this planet. 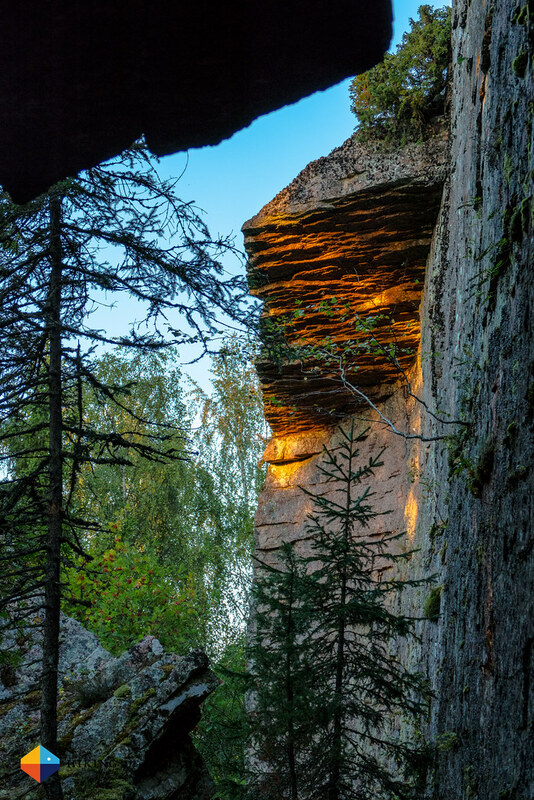 It’s well-known for many things: Fine cycling and sea-kayaking, a rich history, pleasant weather, friendly people, tasty apples and superb bouldering. 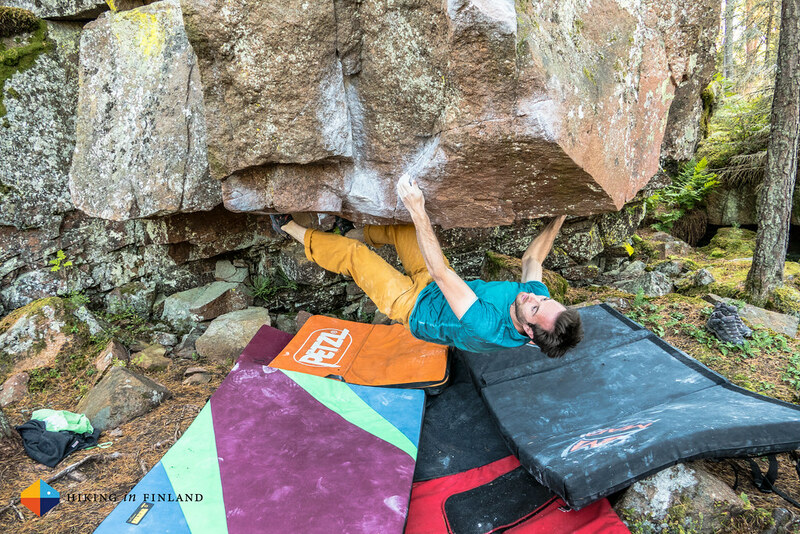 The third week of our climbing road trip through Finland we directed our trusty touring van towards Turku, drove on a ferry and enjoyed the journey to Åland, the promised island of Nordic bouldering. Once we arrived in Mariehamn, the capital of Åland, we made a stop at the office of Visit Åland to pick up maps and have a chat with our hosts. Then it was off to the calm pedestrian main street with nice shops and Cafés. People were sitting outside on terraces and as we were eating a sandwich we too shed layers until we sat there in our T-Shirts. This final leg of our journey started off well, with great weather and a gorgeous place to stay, the Dånö Strandvillor in Geta, almost at the other end of the island. We drove there full of anticipation, and as we arrived at the beautiful beach villa it was even better than expected! 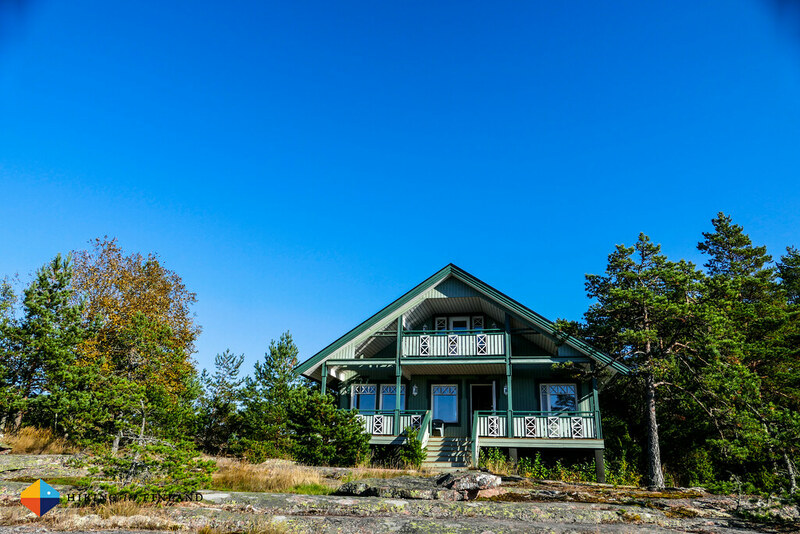 Comfortable beds, great views, a sauna, a large kitchen and living room and even Wifi! 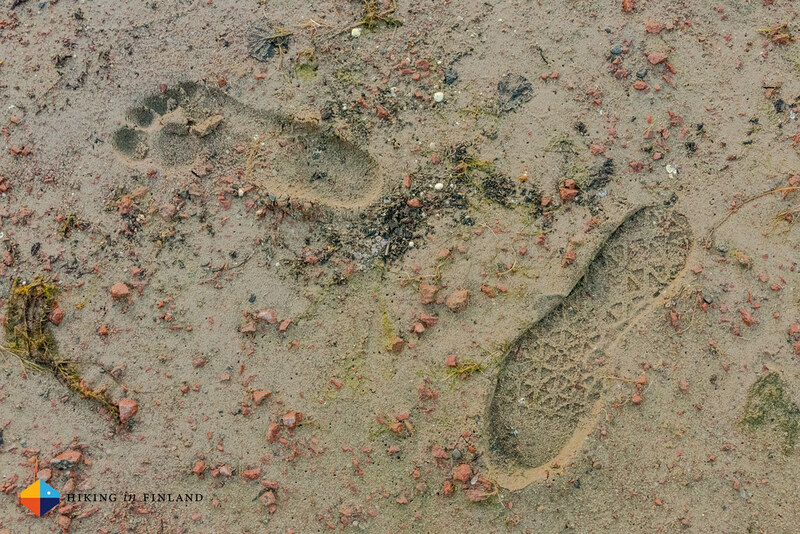 We quickly went down to the beach to check out the sea, take a quick paddle and relax. In the evening the sauna was heated up, as it would be every evening, and we made a game plan on which sectors to visit when. 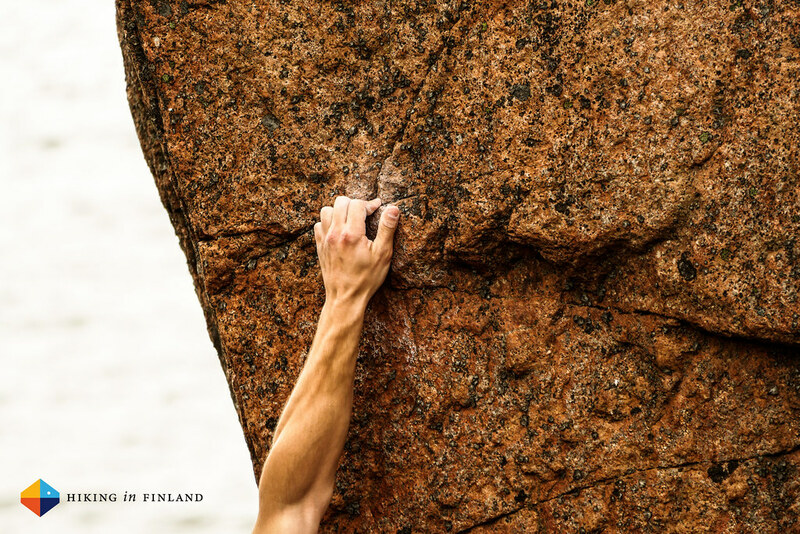 What follows is an introduction to the different sectors with links to their 27 Crags pages, though I highly recommend you to pick up the Southern Finland Bouldering Guide as it covers the areas in depth. Fågelberget is the sector that’s furthest away - about 5 km of approach. If you’re going there for the first time like us, don’t make the mistake of following the electricity lines! After a bit of a detour we arrived after an hour of walking at the Puerto Rico block which would be our basecamp. 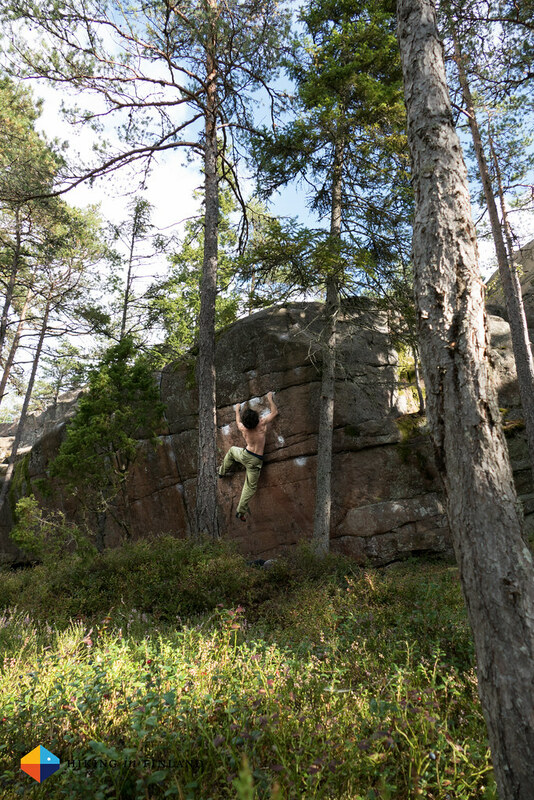 We warmed up on some of its routes and then took a look at some of the other blocks around. We tried some of the classics here, I did bit of theatre on a Highball, then we headed back with a stop at the roofs and then we walked out as dusk was falling. It was a mighty fine day and if it wouldn’t have been for the long approach we probably would have visited it again. 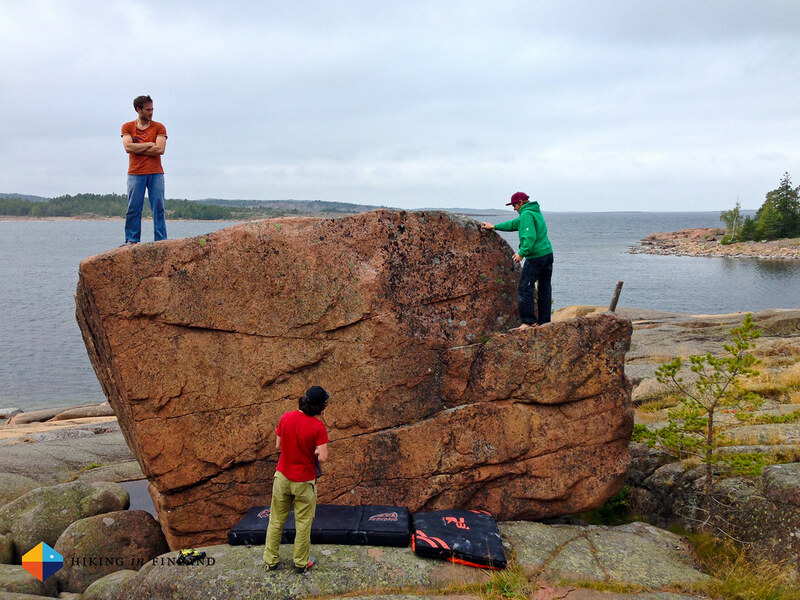 Neverland was proud line that looked super high, and Florian tried the “Over the Moon” problem, a 7b Highball. 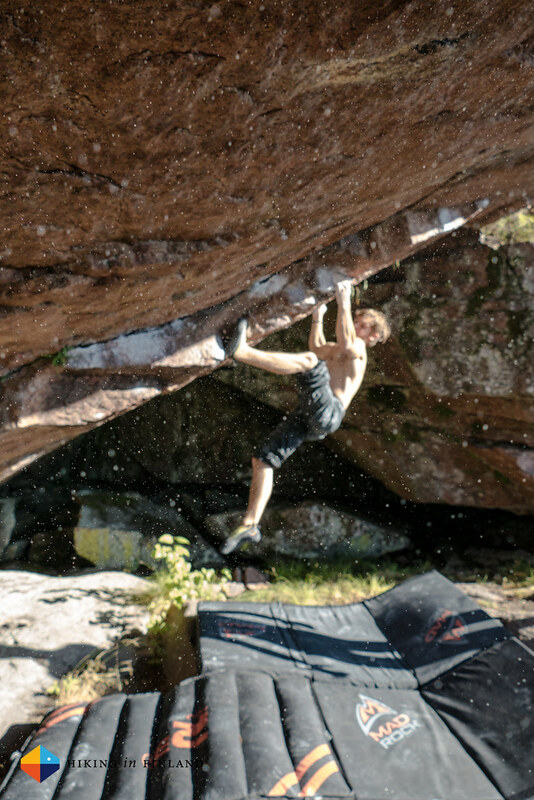 Definitely an area you should visit on your bouldering visit to Åland, as even on a cloudy and windy day as we had it’s a good sector with dozens of high-class problems. Kasviken is the sector with the best approach: Park car responsibly next to the road, walk 2 minutes and you’re standing in front of Dodo in the centre of the sector! 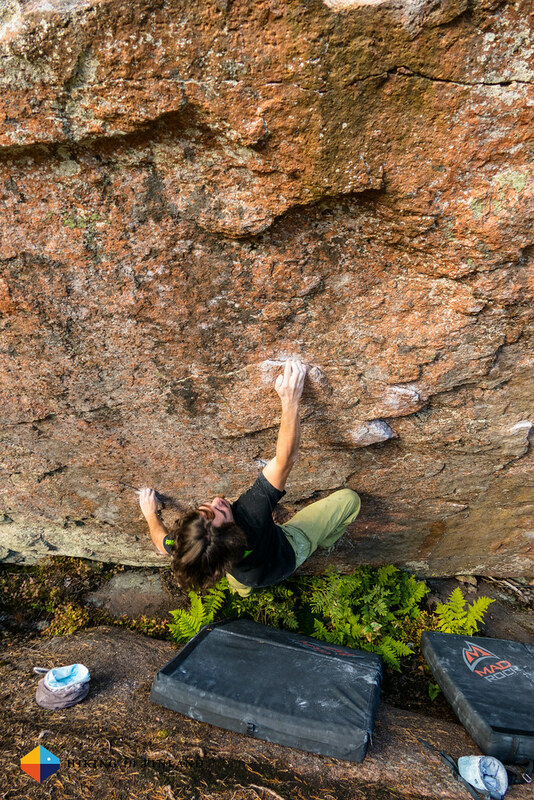 It’s also a sector where you really start to have fun if you climb 6c/ 7a and better, as there’s a lot of HARD problems here. 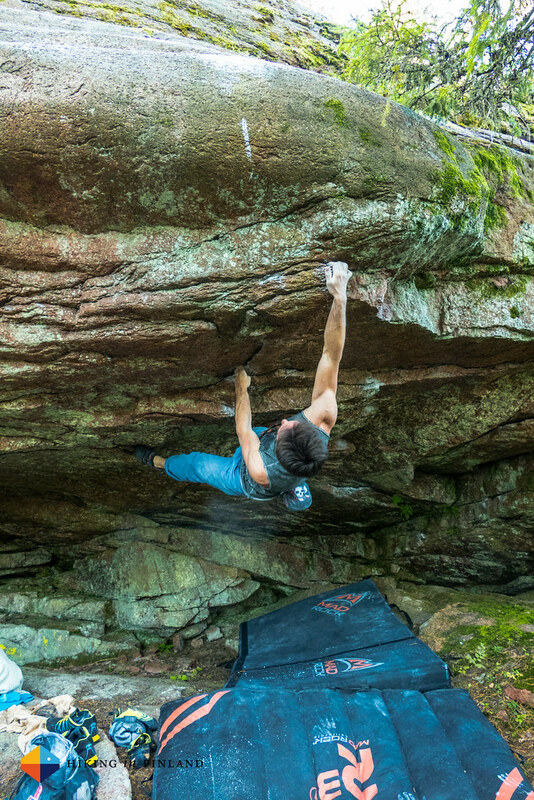 There’s no shortage of 7c and up problems, most of it overhanging. The location is beautiful up on a hill with well established paths and quite good landing zones. As it’s such a convenient place to go we went there twice and always met some people, but we never had to queue for a problem. 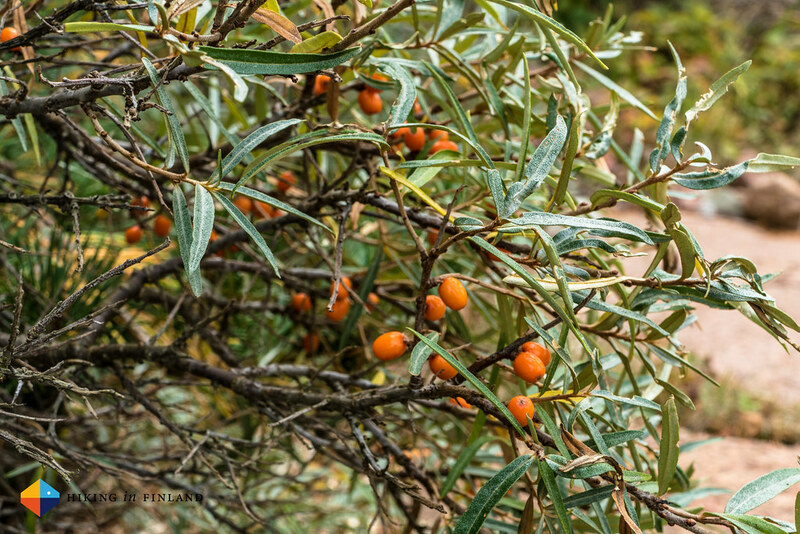 There forest floor is also covered in blueberry shrubs, so a tasty & healthy snack is never far away! We visited Kasviken two times and all five of us enjoyed the sector. This is definitely the sector to visit if you’re here only for a short time and don’t want to waste it on a long approach! 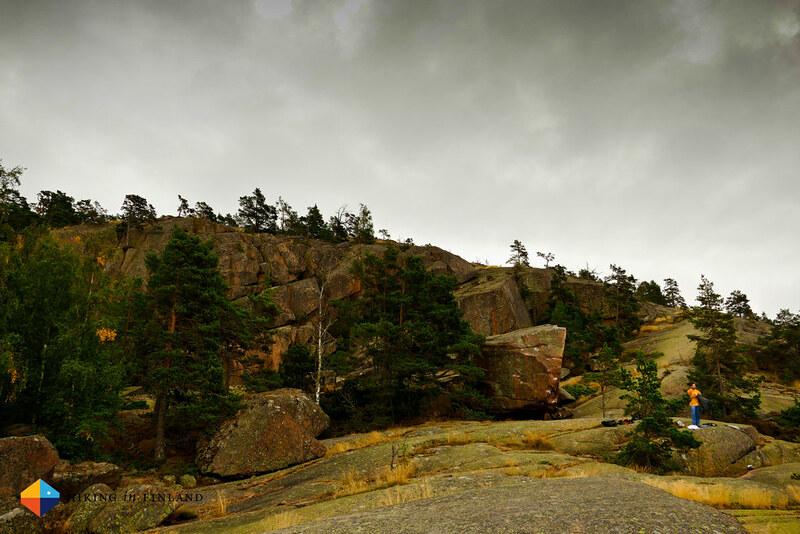 Grottan, also known as Djupviksgrottorna, was probably my favourite sector. 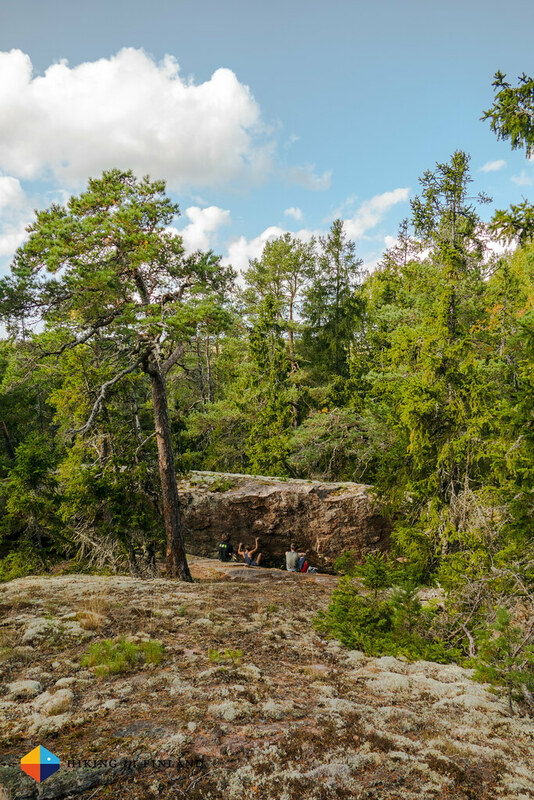 The 2 km approach is along a super well-marked trail from the Soltuna Café - you basically walk on a nature trail there. The sector is on top of a hill with vast views and if t’s sunny you definitely want to bring enough to drink. 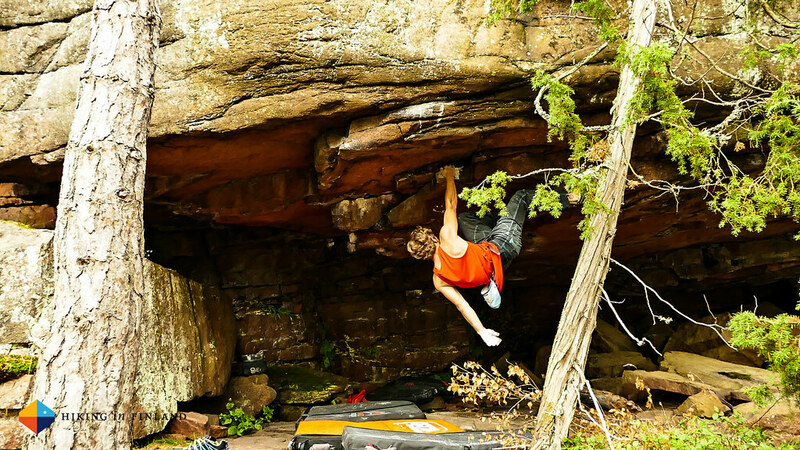 Problems are mostly vertical and overhanging, and also here there’s a very high number of hard problems from 7b and up. 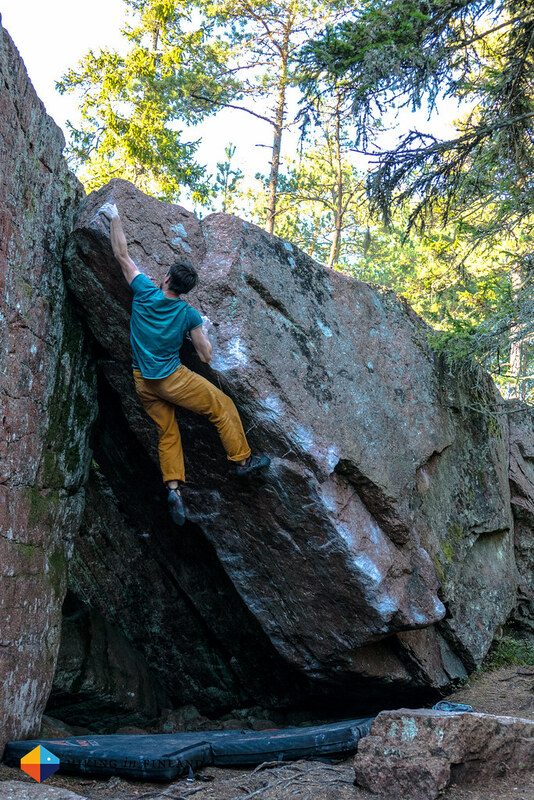 Happily there were also plenty of easier boulders! 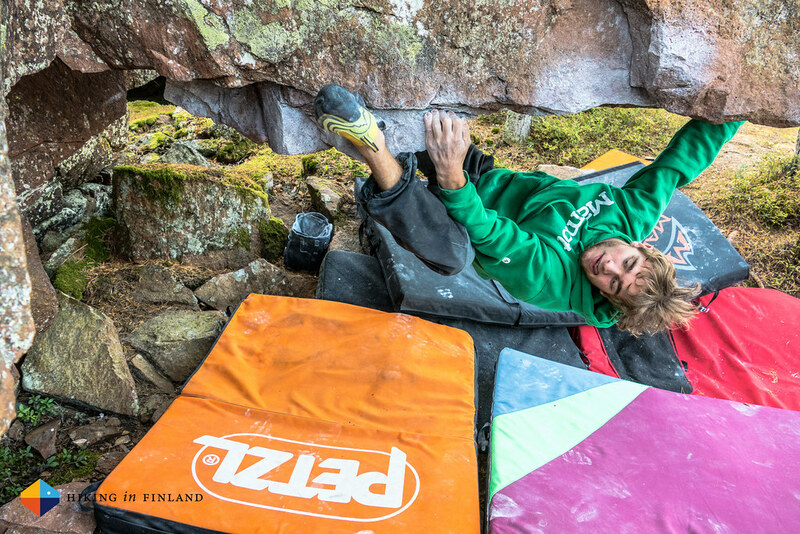 Here I ticked a few nice problems and enjoyed the good atmosphere at the sector. 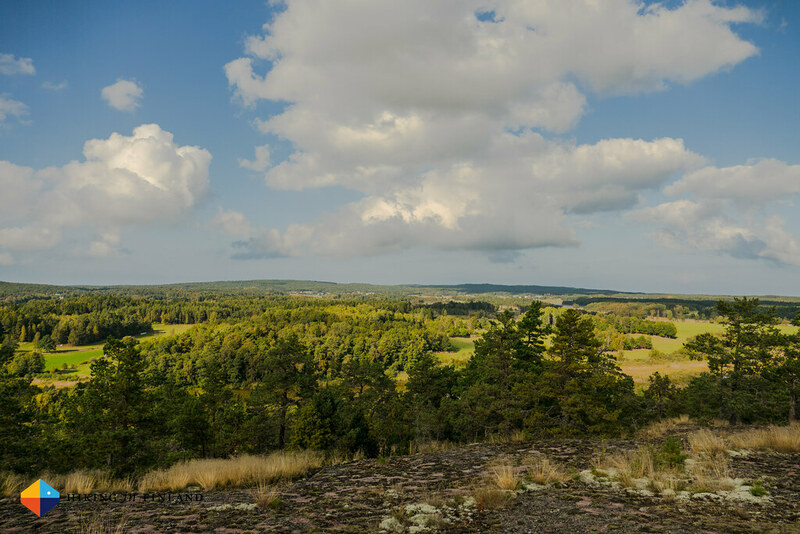 Great views, a nice breeze to cool down, lots of autumn sun and an easy approach make this definitely the 3rd sector you should visit when on Åland for your boulder holidays! Gunnarsklint seems a relatively new sector that’s also not that easy to approach. I think we were hiking for about 45 minutes through the forest until we were finally there. 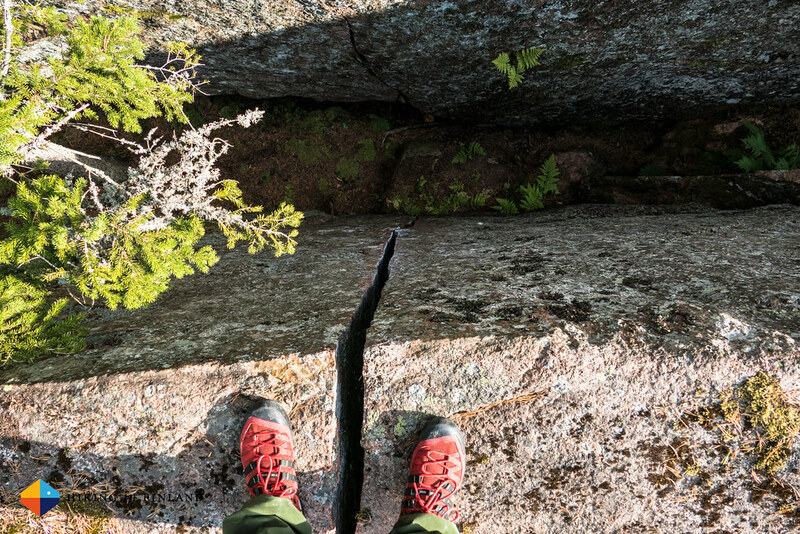 While there are some nice problems the area doesn’t seem to be visited that often, so you should bring a brush or two to clean the lines you want to climb. On the plus side were the nice views from the top of the hill! As you can’t climb every day hard we had a rest day, too. We visited an old ruin, went sea kayaking, played Mini Golf, went grocery shopping and simply relaxed in our fine house. 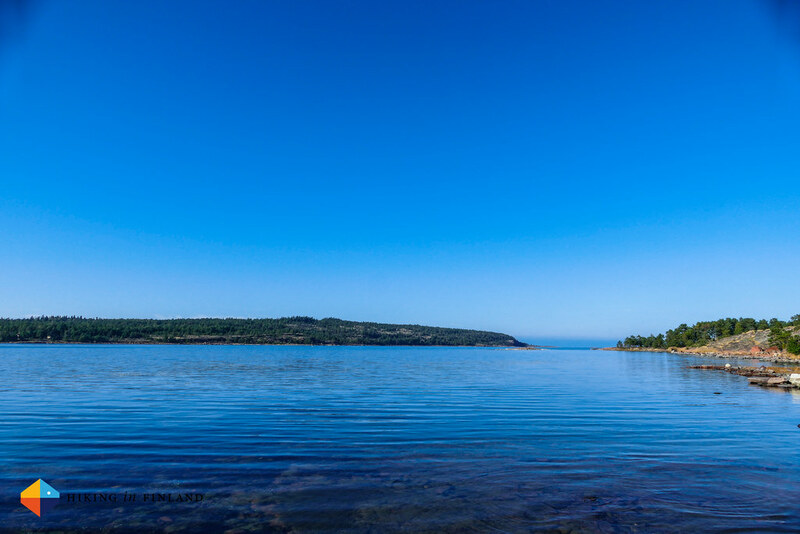 Sauna, star gazing, eating, enjoying the stillness of the island - Åland is a gorgeous place and it would be easy to spend more than a week here and never get bored. 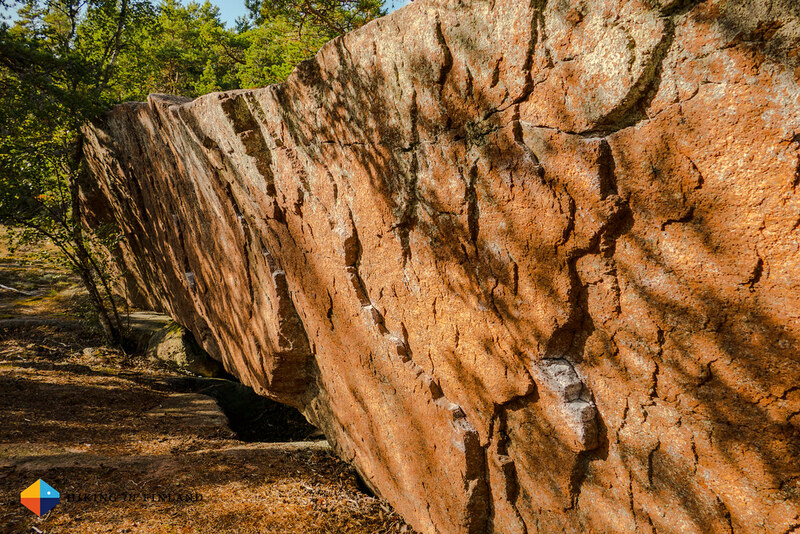 There’s so much to see and try that it definitely is worth a visit, even if you don’t boulder! This road trip wouldn’t have been possible without the support of many companies whom we’d like to thank for their support. Visit Åland arranged for us accommodation in the beautiful Dånö Strandvillor which we loved. 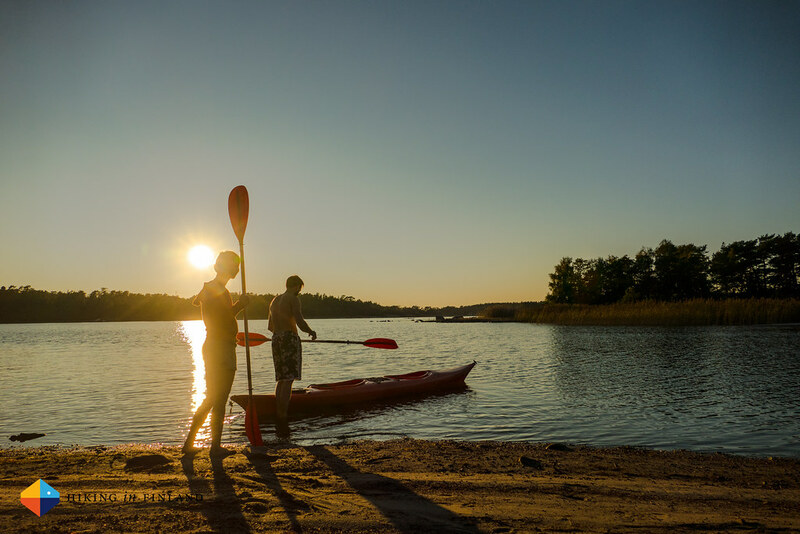 When you go to Åland you can find ALL accommodation options on the Visit Åland Cottages & Holiday Villages, Hotels and B&B pages. 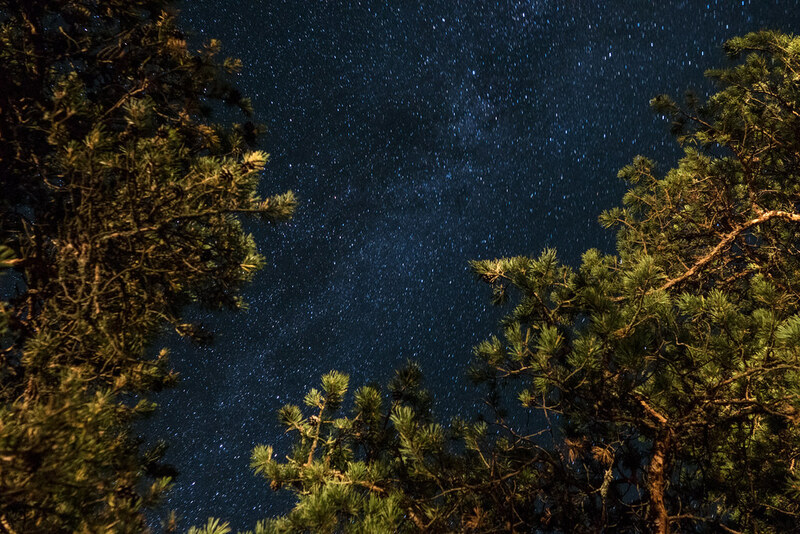 There’s also campsites if you prefer these. 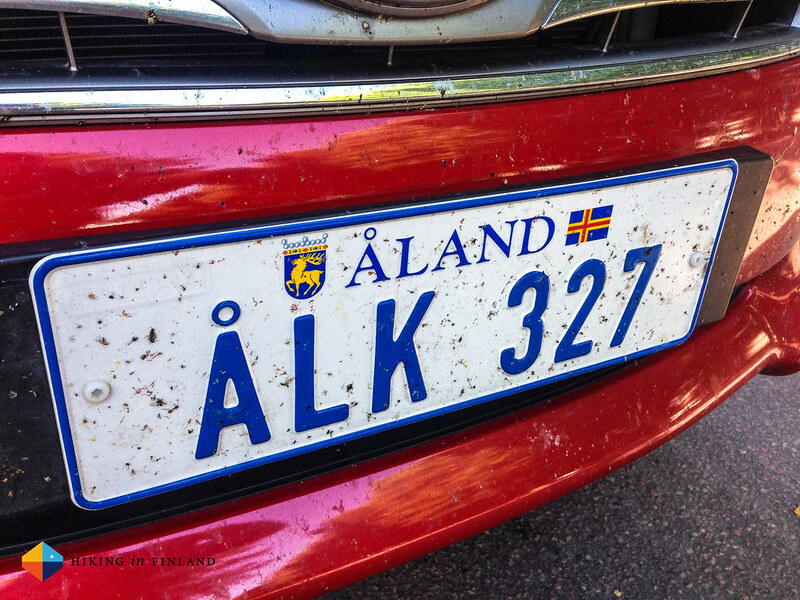 A car is essential if you want to go on a road trip and travel on the Åland islands (although there are also busses there!). If you want to hire a car in Finland look no further than Finn-Rent. They’re hands down the best place to rent a car with friendly service, competitive prices and great cars. We hired an Opel Vivaro Minibus which carried all our gear, four crashpads and five persons in comfort and style. It also was super gas efficient and we drove over 1500 km on one tank load! We got to Åland and back to Finland with Viking Line and were especially lucky to be on the M/S Viking Grace on the way back which was a modern and beautiful ship. 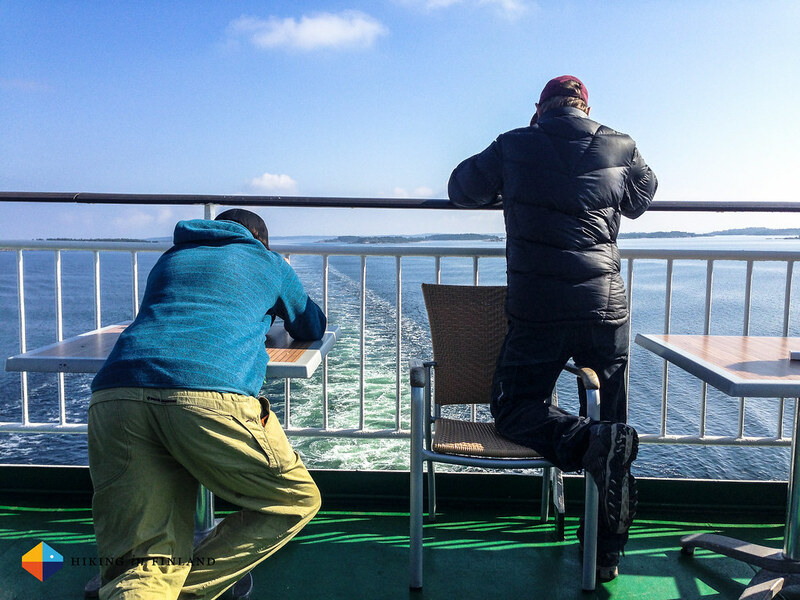 We enjoyed lounging on the comfy sofas and enjoyed the views from deck, and it was fast & punctual, too! 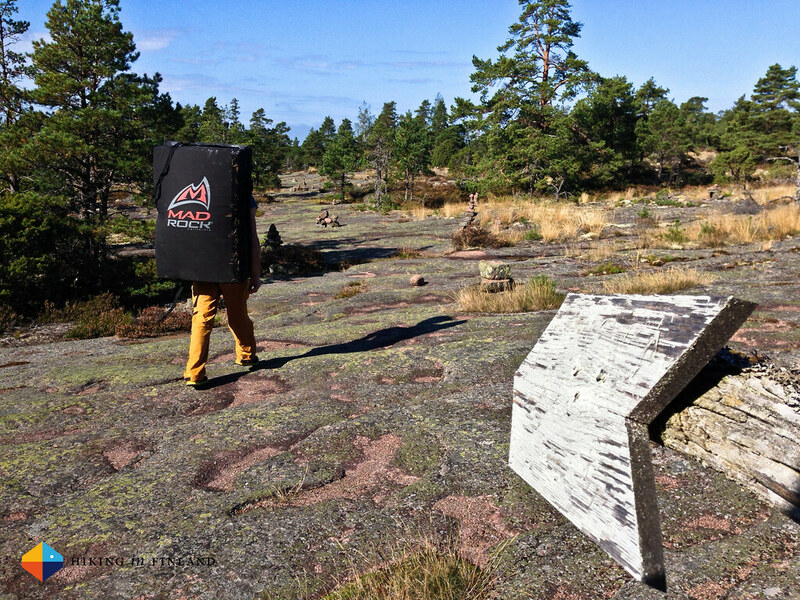 We were very happy to visit Boulderkeskus Isatis and enjoyed climbing there on our stops in Helsinki. 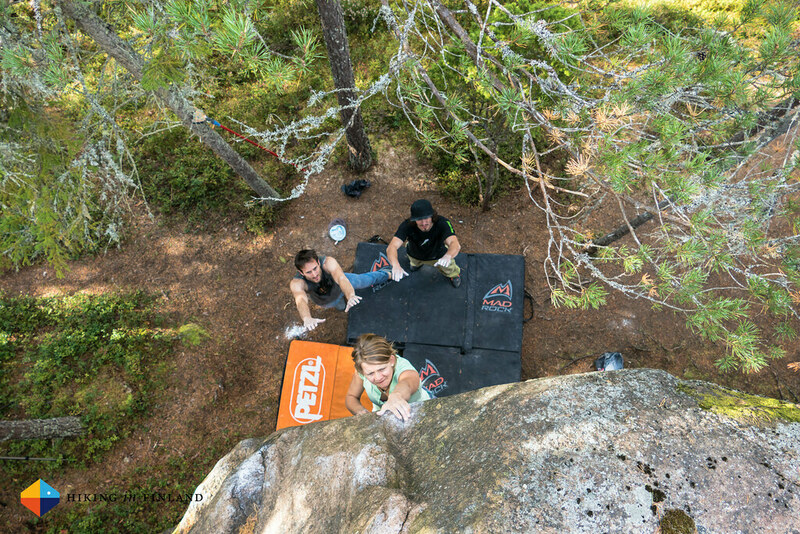 It’s a great climbing gym with a well-sorted shop, Café and a cool gym to work out. You even can do yoga there and go to the sauna! Gear-wise we had support from Petzl and Jetboil with a crashpad, rope and stove as well as crashpads from Mad Rock via Nihil. 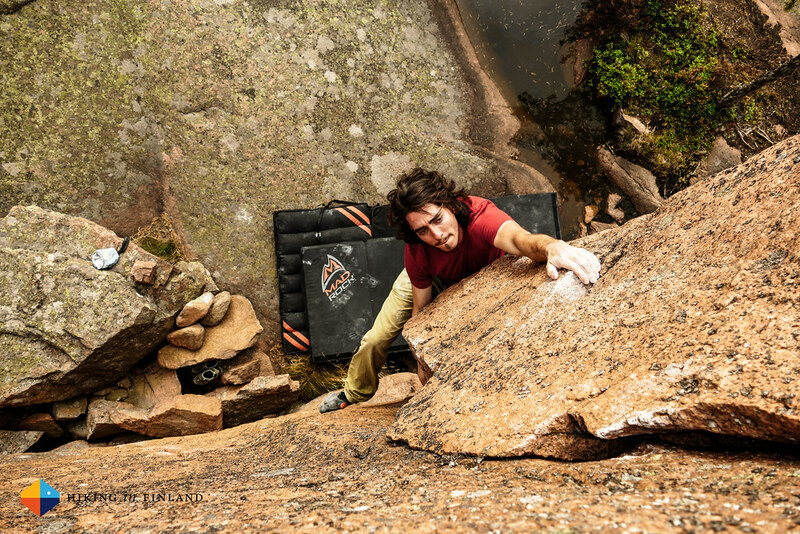 Without the crashpads there would have been no bouldering (or more broken ankles, which ain’t helpful on a boulder holiday) and the rope was very useful on our visits to some of the sports and trad crags. The Jetboil Joule boiled water for noodles and drinks in no time in group-sized measures. 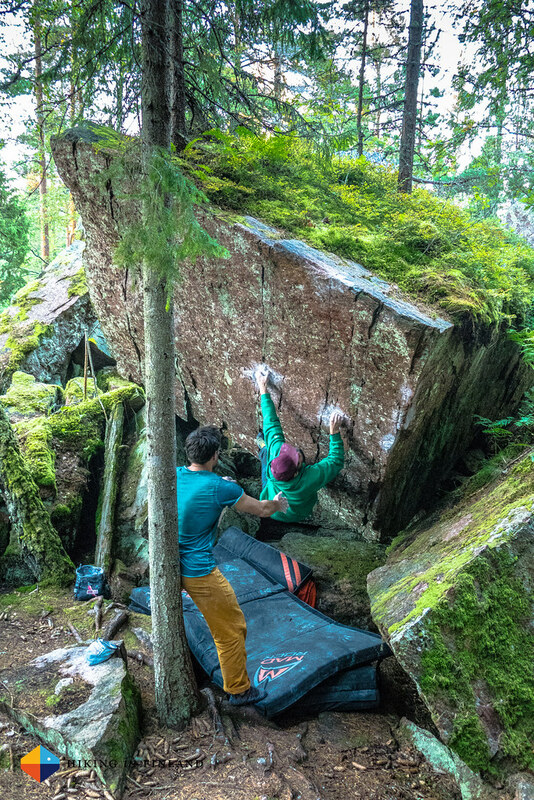 In Vaasa we joined a day out bouldering with my climbing club High Sport and you can join them too for the Vaasa BoulderFest 2015 which promises to be awesome. 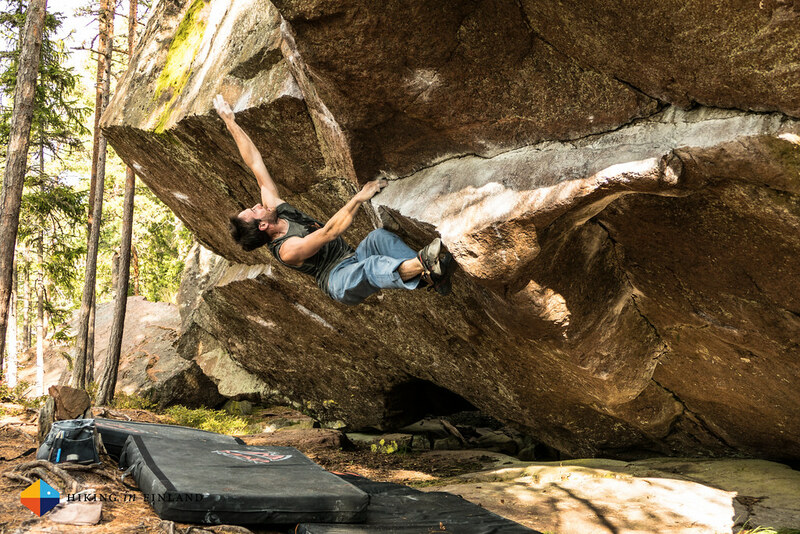 Vaasa offers some superb bouldering and there’s a dozen sectors with hundreds of problems within 10 km of the city centre! 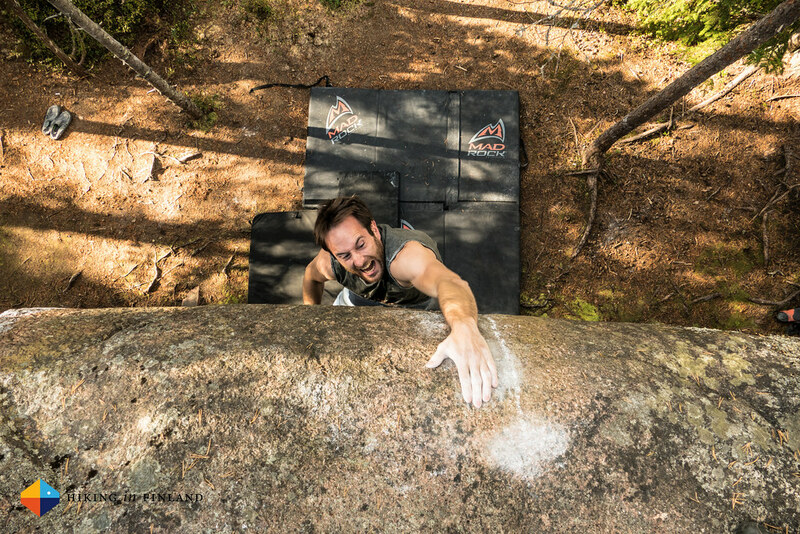 Finally, my thanks to Christoph, Florian, Freddy and Nico who came here to climb! 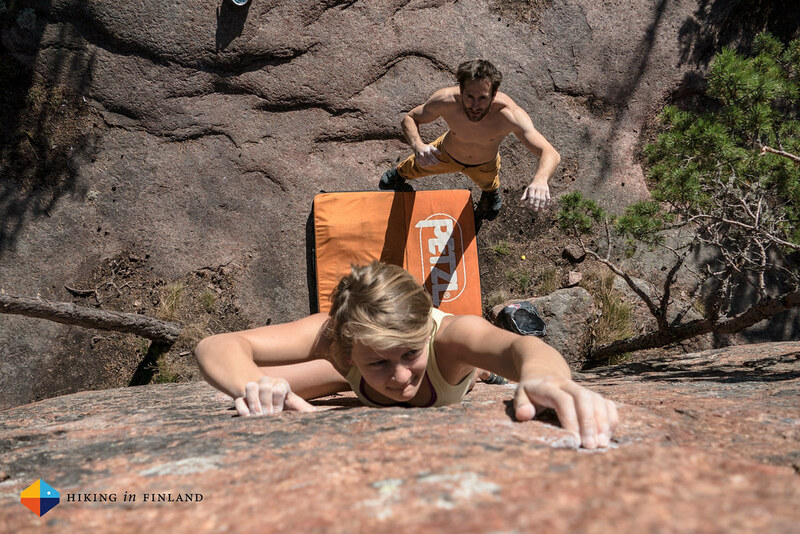 It was a pleasure to host you four and I’m looking forward to climb and boulder with you soon again. Also make sure to check our Nico’s photos on Vertical Axis as he’s a very talented photographer with a great eye & vision and I certainly learned a thing or two from him. 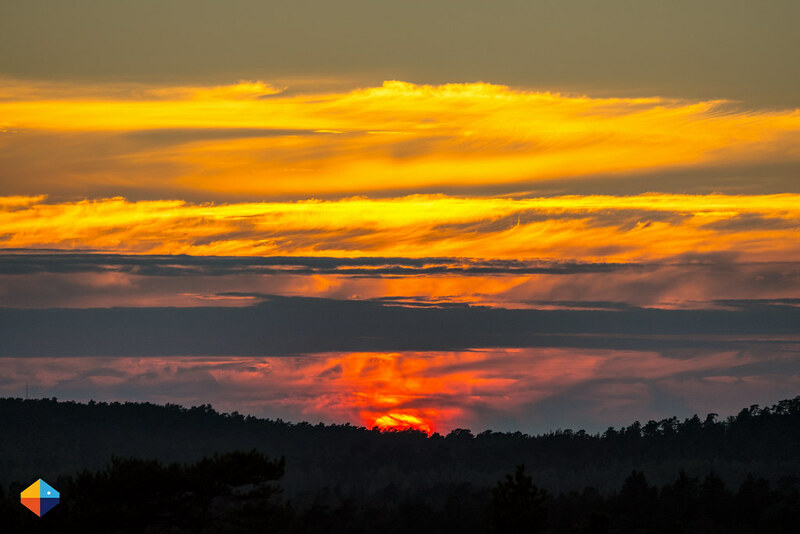 As usually, you can see more photos in the Åland Album on Flickr.